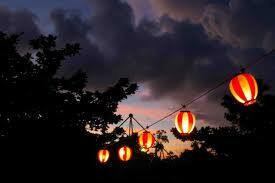 The Taisho season begins around July 22nd, about one month after the summer solstice. 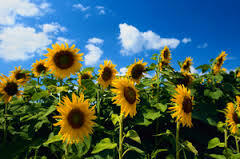 This is the hottest time of the year in Japan. 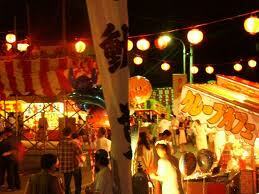 Matsuri are native Japanese festivals of sacread Shinto. 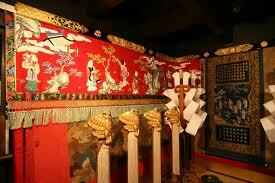 Originally they related to the cultivation of rice and the unity of community's. This time of the season, children get really excited as their long vacation is just around the corner! 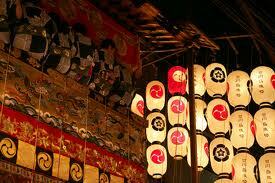 July in Kyoto is the season of the Gion Festival. During the entire month many important rituals amd events related to this festivals are held. 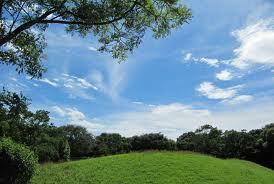 It is derived from ''Goryo-e'', appeaseing the dead sprits. This festival dates back from the year of 869 prying for an end to the epidemic which had spread nationwide. 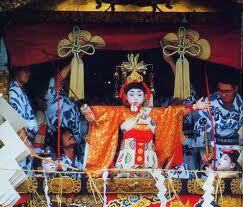 ''Kon-chiki-chin''is the sound made by the traditional music of the festival. Shosho bigins roughly 15 days after the summer solstice and the marks the beginning of the hot days of summer. The period between Shosho and Risshu (the beginning of autumn in early August) is called shochu and during this period Japanese people have a custom to write summer greeting cards.